The courage of Mitch Landrieu | Pulitzer Prize Winner Cynthia Tucker | Journalist. Professor. Progressive. New Orleans Mayor Mitch Landrieu gave a brilliant speech earlier this month about his decision to remove Confederate monuments from prominent display. It was gracious, eloquent and powerful. “The historical record is clear, the Robert E. Lee, Jefferson Davis, and P.G.T. 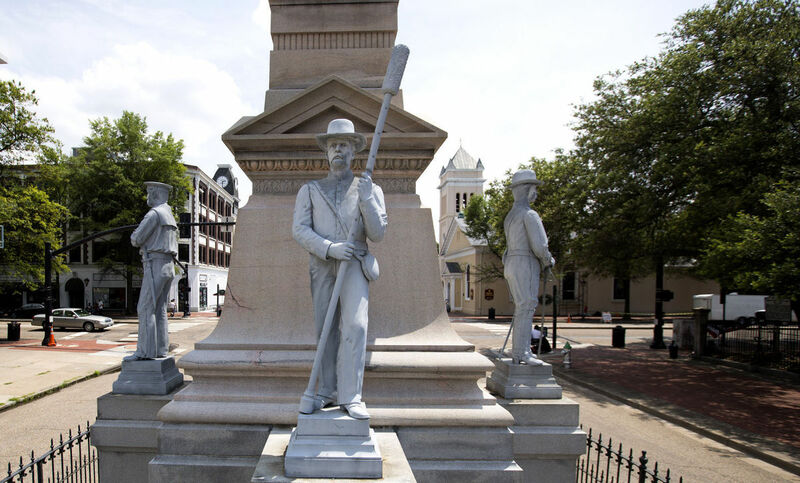 Beauregard statues were not erected just to honor these men, but as part of the movement which became known as The Cult of the Lost Cause. This ‘cult’ had one goal — through monuments and other means — to rewrite the history to hide the truth, which is that the Confederacy was on the wrong side of humanity,” he said. But as stirring as Landrieu’s speech was, it was the least striking element in his delicate and sensitive command of the city’s historical makeover. The mayor’s courage and humanity are even more impressive; they were the vital ingredients that brought his city to this compelling and inspiring moment. If you haven’t noticed, a frank and explicit racism is making a comeback. The hallowed halls of the White House, among other corridors of power, now welcome racists who are unrepentant in their belief in white supremacy, unapologetic in their desire to diminish the nation’s racial diversity. Their cause often brandishes the symbols of the Old Confederacy. Their worship of the South’s treason is not the only reason to confront the inhumanity of the Lost Cause, but it provides fresh urgency. Landrieu proposed removing four Confederate monuments after white supremacist Dylan Roof massacred nine black people attending Bible study in a Charleston church in 2015. Roof had exalted Confederate emblems, including the battle flag. Landrieu’s critics claim that he took that stance for the most cynical of reasons: political gain. He has his eye on higher office, they say. He wants to raise his national profile, they contend. But as a native of the Deep South, and as a journalist who has watched other white Southern politicians grapple with the Cult of the Lost Cause, I can tell you that’s unlikely. He may seek higher office, but his removal of Confederate monuments will bring him as much grief as good. Just review what happened in the last several months. 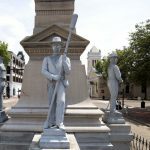 After the New Orleans City Council passed an ordinance in December 2015 calling for the removal of the monuments from parks and other public areas, lawsuits were filed. Protestors showed up to protect the monuments. Death threats were issued. One contractor who signed up to take down the monuments had his car firebombed. The workers who finally took down the statues worked in the dead of night and wore masks to conceal their identities. If Landrieu were merely interested in raising his political profile, he could have just given the speech and left the monuments. He would have made fewer enemies. In 2001, Roy Barnes, then the Democratic governor of Georgia, pushed a bill through the state Legislature that removed the Confederate battle emblem from the Georgia state flag. When he ran for re-election in 2002, his Republican opponent criticized the move, and Barnes lost the governorship. Not all of Landrieu’s coterie of newly-hatched political enemies, by the way, are dyed-in-the-wool racists of the “Forgit, hell!” variety. Many more of them are white Southerners who simply don’t wish to concede that their ancestors were wrong. White Southerners went to extraordinary lengths to whitewash the history of the Civil War, insisting that slavery was not its core cause. It was, as Landrieu reminded his audience. Alexander Stephens, vice-president of the Confederacy, said so a few months before the war broke out. “Surely, we are far enough removed from this dark time to acknowledge that the cause of the Confederacy was wrong,” the mayor said. It’s not clear that Landrieu’s political ambitions will benefit from his exemplary moral leadership. But his city is xsurely better off.